Note: the Raspberry Pi image requires Tournament Manager on Windows or macOS to use. See the instructional video and the Tournament Manager User Guide for details. Please review the minimum system requirements for Tournament Manager on Windows and macOS. 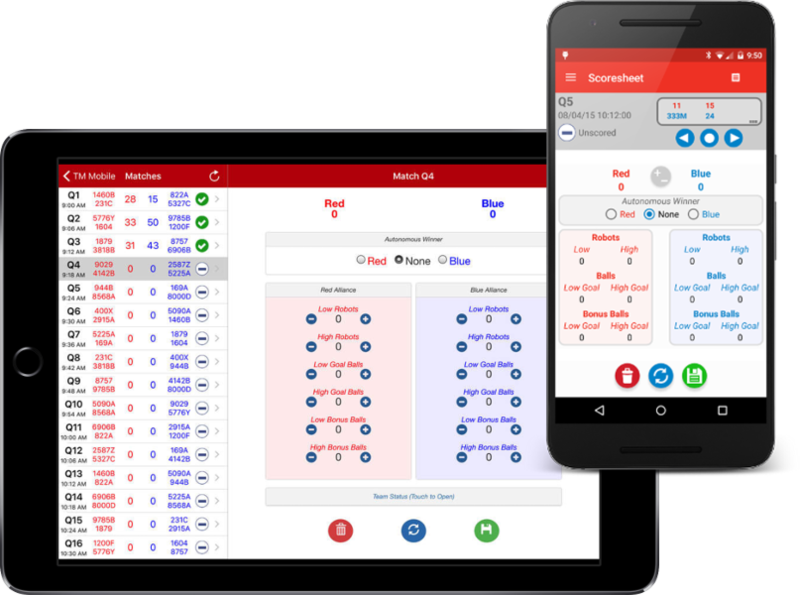 Tournament Manager Mobile integrates with VEX Tournament Manager to allow referees to easily track and submit match and skills scores electronically, saving time and paper. VEX TM Mobile is available in the iOS App Store and the Android Google Play store.